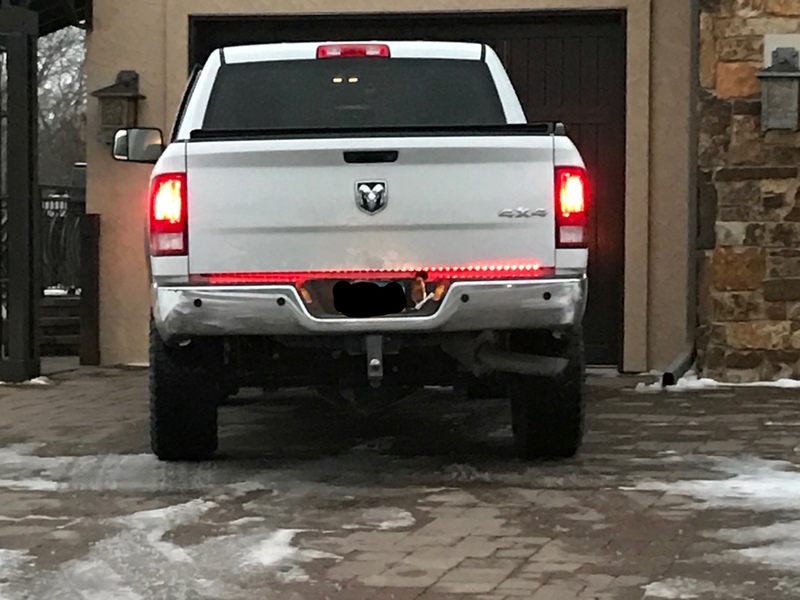 My girlfriend got me one of the break light led strips that goes under the tailgate. I tried installing it, but the hole to lower the spare tire is right where the strip needs to go to be visible. Has anyone tried one of these before? Anyone got any suggestions? 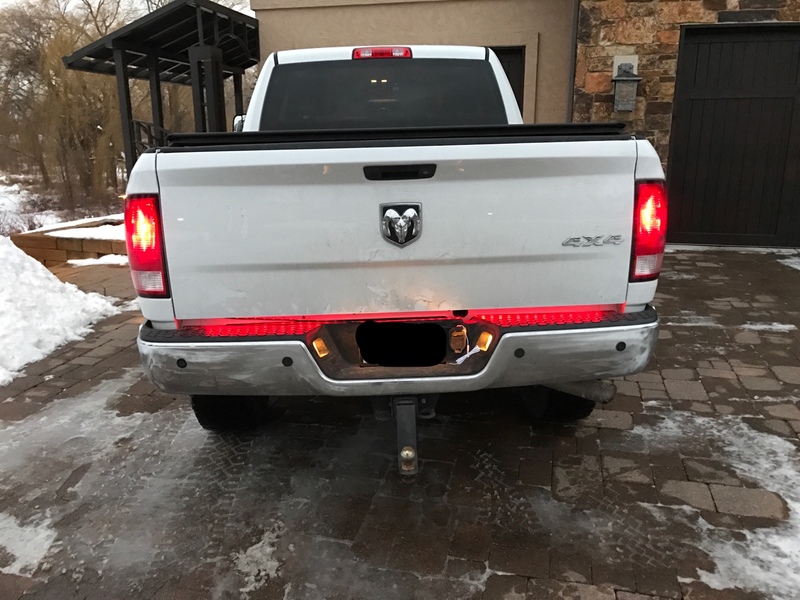 I had one on my 2010 1500. Mine was a GOrecon LED bar and I was able to just barely get it to work. 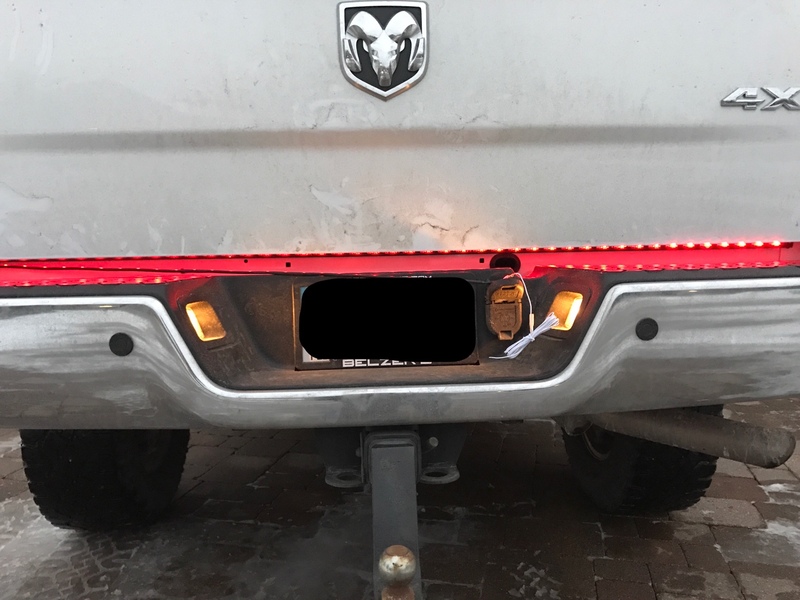 I think I put it above the hole and low enough so the tailgate didn't hit it. I will see if I can find a pic. stubiePW wrote: I had one on my 2010 1500. Mine was a GOrecon LED bar and I was able to just barely get it to work. I think I put it above the hole and low enough so the tailgate didn't hit it. I will see if I can find a pic. Mine is the GoRecon as well. Pictures would be appreciated. I had to take the tailgate off to get at the area and unfortunately already mounted it. Put the tailgate back on and I think it's too hidden. I might need to look at it for a few days before I figure out what to do. The plug that came with it just barely reaches the plug on the truck. Thankfully I have already got the adapter ordered to plug it in behind the bumper. I don't think I'm happy with the way this turned out. I was a little too jumpy on it I guess. I wonder what my options are for fixing it. There was an adhesive that came I the back, and I'm sure if I get it off there is no using any adhesive again. It did come with a few clips that I could drill in, but I really don't want to drill the truck at all. I still have not found the pics. I do have info though. When I took it off I just went and bought more 3m tape. Worked just fine. I will see if I can find the pics. It's bugging me I can't find them. 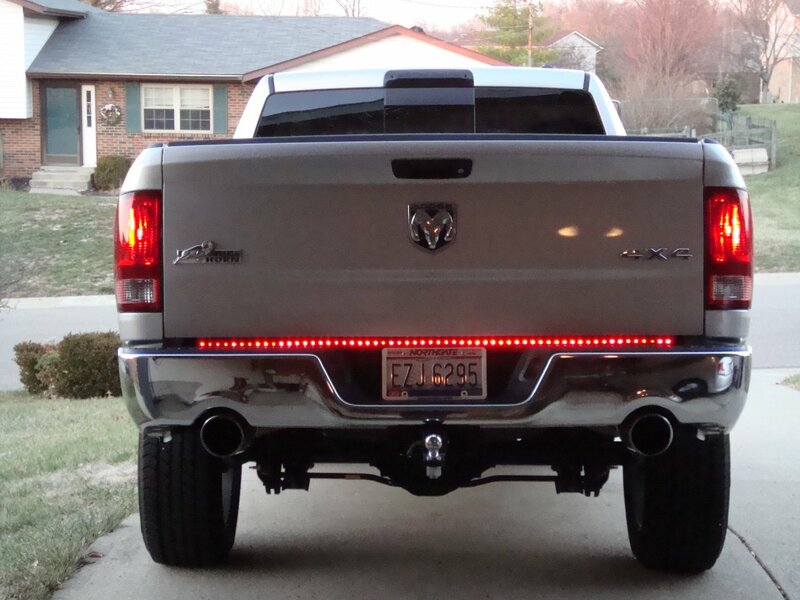 Not a great pic... and now I remember I had it on my silverado then the ram. I remember it being an issue with the spare tire hole. I think the hole is quite a bit bigger than the rod to lower it... so I covered it a little. Nice, ok. Did you take the old adhesive off the back of the rod? Also the pw has a grommet around the square hole. Did you pop that off first? Or did yours not have it? Thank you for the help. I really appreciate it. I already ordered one of the adapters to plug the bar in behind the bumper so hopefully that will be just as good. Do you happen to remember what kind of tape it was? I bought some 30 lb home exterior tape trying to mount my cb in the cab without drilling, and every 2'days the radio fell. That's a lot more weight than the light bar, but I'm not sure I want to try it with that stuff. You might be ok with it. Sorry for the delay. Like I said I got something at Autozone or something. I have no idea what I used. I think I tried to use 3m. Good luck and put some pics up once its done. Like I said, when I put mine on, I stuck the tire lower bar in and saw where it was in comparison to the bar.